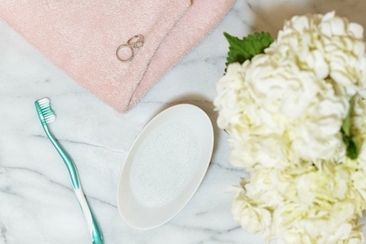 So How to Clean Your Wedding Dress, and How Much Will It Cost? How Much Does It Cost to Dry Clean a Wedding Dress? Your wedding gown is likely your favorite dress! And it should be. It's a reminder of one of the most important days of your life. Unfortunately, despite it's beauty and elegance, it's not really a dress you can wear again. But that doesn't mean it should be thrown away or disregarded. It can have another life on another bride one day. Whether you sell it or save it for a family member, it's a great idea to clean and preserve your beautiful gown for the future. There are many ways to clean your wedding gown, but the best idea is to have it done by a professional. You can do it yourself, but you don't want to risk ruining your gown. Before getting the answer to "How much does it cost to dry clean a wedding dress", you should know many gown cleaning experts will use a wet cleaning method. Generally this means your gown is hand washed with cleansers to remove all stains, including minor ones that could cause problems later on. If you don't clean your dress, the unseen stains can become a problem later on, oxidizing and turning yellow. You can try to do this method on your own, but once again it might be best if left to the professionals. More commonly however, a dry cleaning method is used. You've probably taken your fair share of garments that can't be machine washed to a dry cleaner. But did you ever know how it worked? The companies will pre-treat stains and then put your gown in a dry cleaning machine. The most common solvents used for wedding gowns are Greenearth, EXXONdf-2000, soddard volvent and perchloroethylene. So what's the difference? Greenearth is a pretty new solvent. It's silicone based and is extremely safe for beaded gowns. However, the downfall of this stain treater is that it's not as good at degreasing as other options. The good news about this solvent is that it isn't restricted by the government, and it's fairy safe for the environment. Exxon DF-2000 is also a newer solvent. It's petroleum-based and generally known for how good it is for treating beads and sequins. This solvent is similar to Greenearth in that it is also not the best at degreasing the gown. Many industry experts expect Exxon DR-2000, also referred to as Hydro-carbon, to be the main dry cleaning formula in the future. Stoddard solvent is similar to Exxon DR-2000 in that it is also a petroleum-based solvent. However, Stoddard is becoming increasingly rare. Fire regulations restrict the solvent from being used in dry cleaners that are located in strip malls. If you do see it used, you can probably guess it is an older company. Unlike other methods, Stoddard is a great solvent for degreasing. It can also keep beads, sequins or any glue on the dress in tact. Perchloroethylene is the most common stain-remover used by dry cleaners. Generally referred as perc, this solvent is considered the best option for degreasing. If your dress is made out of acetate, rayon or silk, this solvent might be perfect for you. However, the downside of perc is that it may damage any sequins, beading on the dress. If the beading is glued on, it can also melt the glue. 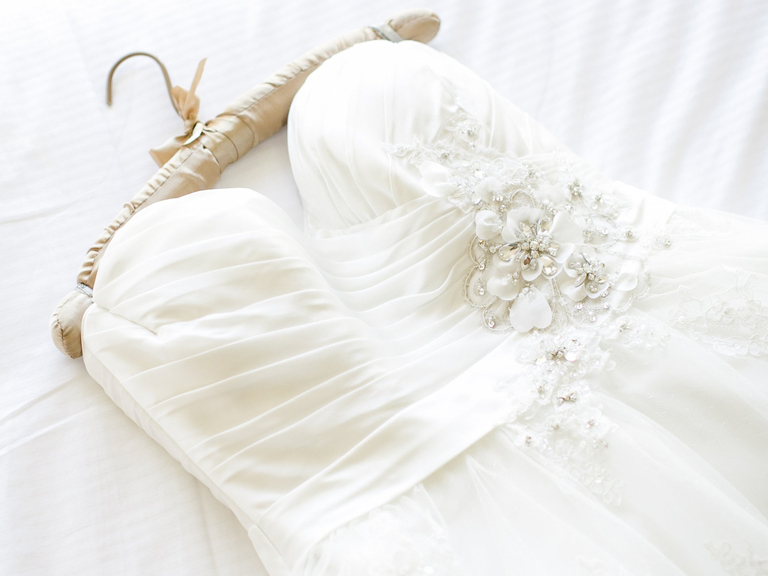 How Long Will It Take to Clean Your Wedding Dress? A lot of this depends on the cleaner. Most dry cleaners work fairly quickly. However how long it takes completely depends on your dress. 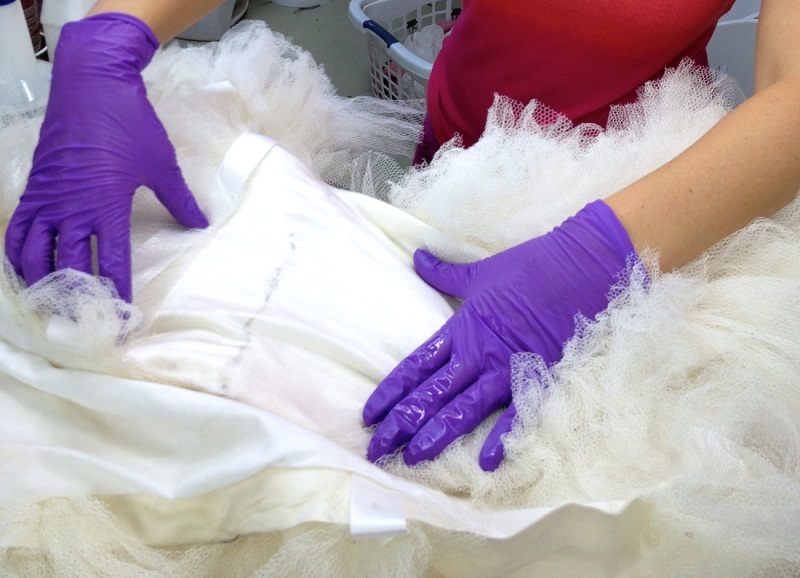 Because many gowns are very intricate, the dry cleaner could take up to a month to clean it. Many dry cleaners can have it back to you in much less time. Some even within a week. Just check with your local dry cleaner to see how long cleaning the gown will take. If they aren't that busy, you may have it back in a few days. It varies, but it's certainly not cheap. You can expect to pay around $100 if you're getting your gown cleaned by a higher-end company. But don't expect that to be it. That's just for the basic cleaning. If your dress is overly elaborate or has oil stains, it'll cost you more. Don't pay any more than $200 for a basic cleaning. You can get a much better deal, and after all the add-ons, you'll end up paying much more than you expect. Lace dresses generally cost more, so do be aware of that. Some additional costs added to your cleaning would be to get your dress boxed instead of bagged. You can expect to add on an extra $50- $125. However, having it boxed will preserve the dress much better. If you think you can do this yourself, then you can save a little money. The other thing that will cost you extra is removing oils from the dress. Many stains are included in the basic price, but pulling oil isn't one of them. Depending on how oily your dress is, it could cost you up to $50 more. So how much does it cost to dry clean a wedding dress? Expect to pay a few hundred dollars. After all, it's an important dress that needs to be carefully and properly cleaned so it can last for years to come. 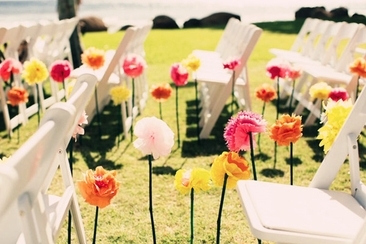 Wedding setup and cleanup is a task which often leaves couples panicky. This article is full of practical tips to help you organize wedding setup and breakdown in a hassle-free manner. White club dresses are the sexiest choice for your party nights out. There is a myriad of styles and looks, and we have narrowed it down to 10 best choices for you. 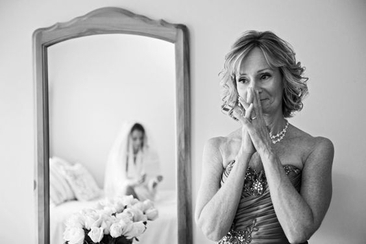 Looking for mother of the bride photos ideas that will remind you of your mother’s love for the years to come? Browse our top picks and let your heart melt! Browse this collection of gorgeous pastel bridesmaid dresses, full of charm, style and elegance in the sweetest tones, from mint, rose quartz to pastel peach.